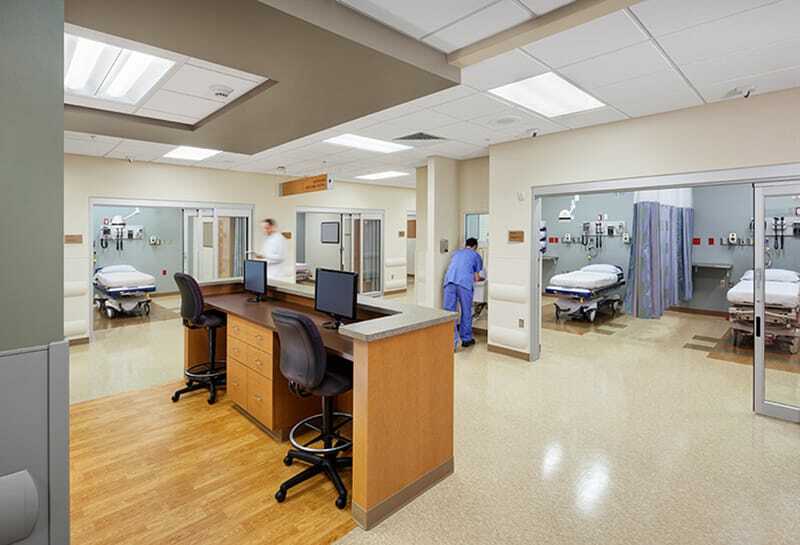 Gilbane built a new critical access hospital providing convenient access to healthcare services in rural Michigan. 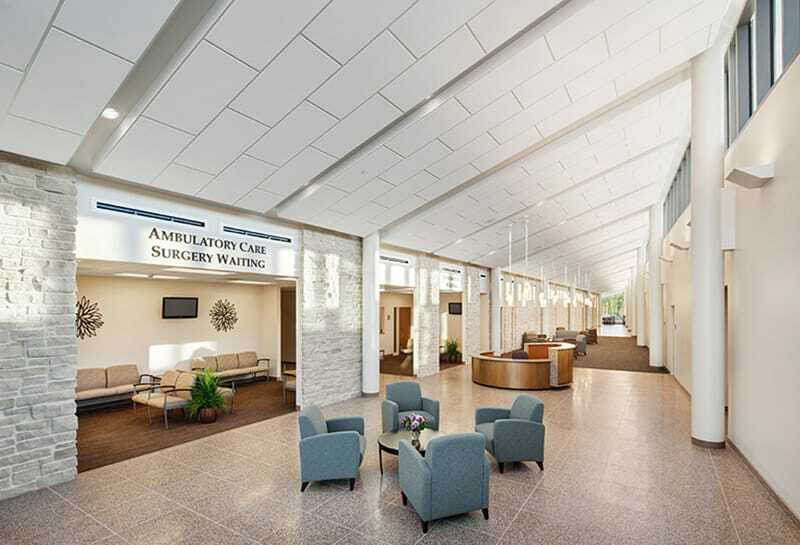 Located on a 40-acre wooded site overlooking Lake Michigan, this sustainably-designed, 63,753 SF critical access care hospital includes 12 inpatient beds; space for outpatient rehabilitation, laboratory, radiology and dietary services; an attached medical office building housing physicians’ offices; and community education space. 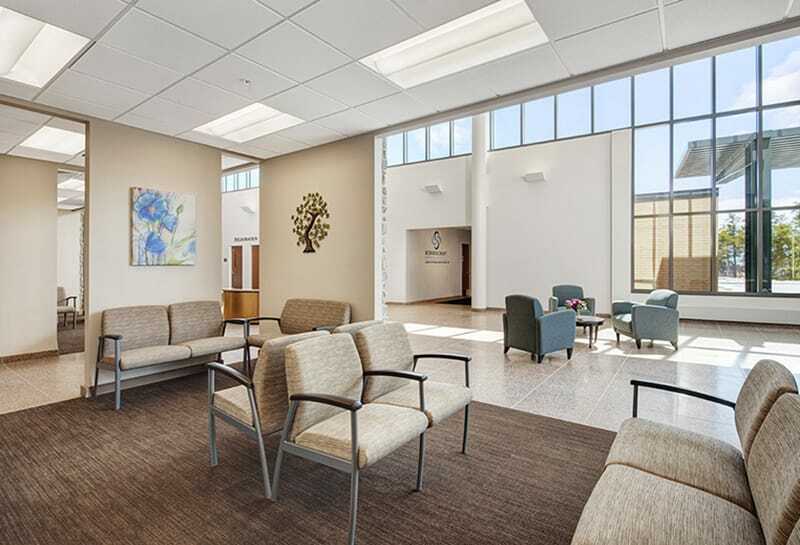 The new facility allows Schoolcraft Memorial Hospital to attract and retain high quality physicians to provide top tier healthcare services and meet the future needs of the community. This project increased the satisfaction of residents who were previously traveling more than 90 miles to receive tertiary care services. Due to the project site being located on wetlands, Gilbane worked collaboratively with the Michigan Department of Transportation and Army Corp. of Engineers to review procedures to avoid disturbing the wetlands. The utilities needed for the project were located directly underneath the wetlands, which required careful planning and coordination to ensure no impact to the wetlands. 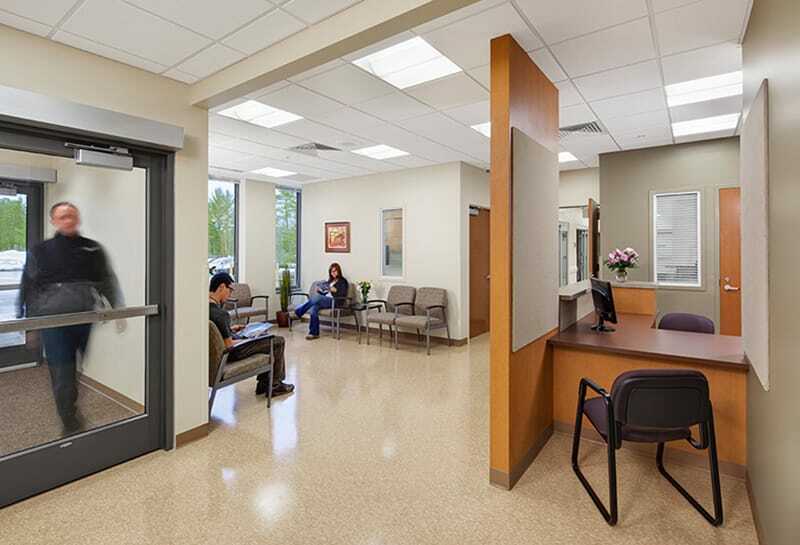 Gilbane completed this project ahead of schedule and under budget returning $815,000 of savings to the owner. Additionally, Gilbane partnered with project stakeholders and awarded a third of the work to local trade contractors.